I see so much food that it takes something seriously good to grab my attention. 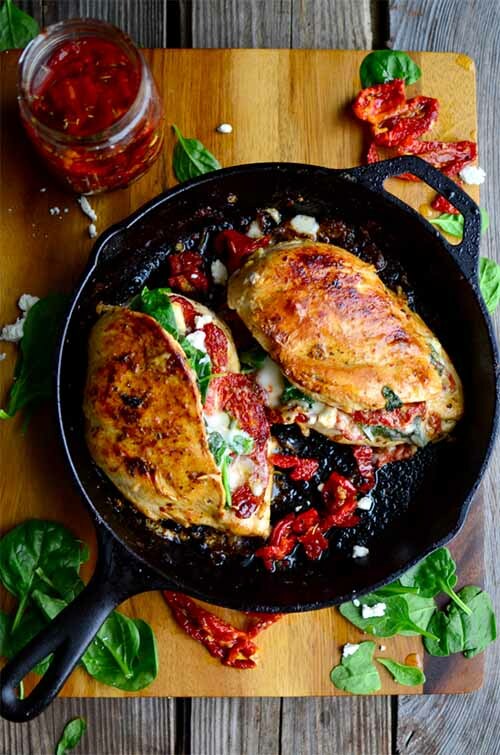 And when this Sun Dried Tomato, Spinach and Cheese Stuffed Chicken from Yammie’s Noshery jumped out at me on my laptop screen, I just had to share it! 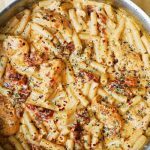 The chicken is moist and tender, and full of flavor thanks to all the ingredients stuffed inside.